May 8, 2015 – On May 7, engineers at NASA’s Michoud Assembly Facility in New Orleans began welding together the first pieces of the structure of the Orion crew module pathfinder. This pathfinder is a full-scale version of the current spacecraft design. It is used to demonstrate the manufacturing and assembly procedures that will be used to produce the actual flight hardware. Using a pathfinder allows engineers to make sure those procedures work correctly and to improve the process before producing the flight article. This pathfinder will help NASA prepare for Orion’s next mission to deep space atop the agency’s Space Launch System (SLS) rocket. The elements of the hardware that will actually fly on Exploration Mission (EM)-1 will be joined this summer. The primary structure of the Orion crew module is composed of seven aluminum pieces that have to be skillfully welded together in a precise order. The first pieces of the pathfinder fused together are the tunnel and forward bulkhead, which are at the top of the crew module. The tunnel, once connected to a docking hatch, enables rendezvous and docking with other spacecraft, and provides a pathway for astronauts to move between the crew module and other spacecraft. 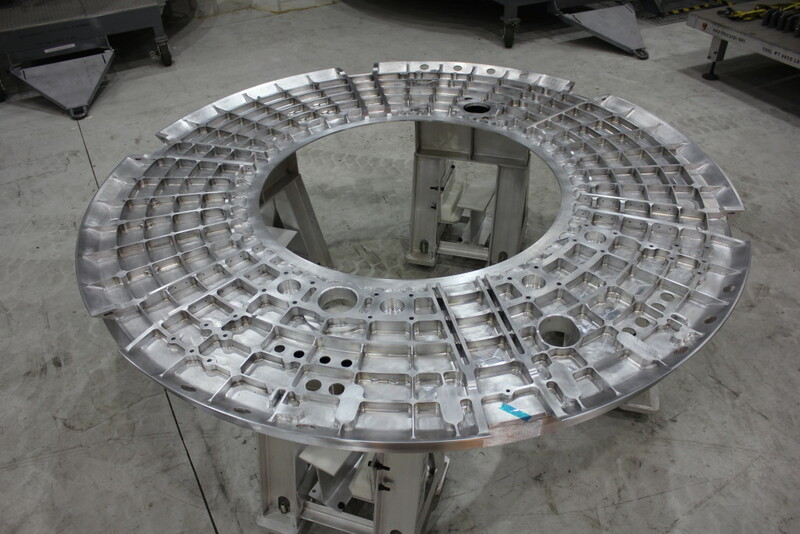 To reduce mass and improve the manufacturing schedule, engineers have worked to decrease the total number of welds required to build the crew module structure. The first crew module structure that was built and used for engineering tests and evaluations, required 33 weld operations. Through collaborations across the Orion design and manufacturing teams, the number of welds required for the Orion structure that flew in the 2014 flight test was reduced to 19. Further innovations and collaboration have reduced the weld quantity to 15 required welds for the EM-1 spacecraft. The production of the crew module at Michoud, which is being done by NASA’s prime contractor for Orion, Lockheed Martin, goes beyond welding the structure together. The pieces of the Orion crew module are joined using a method called friction-stir welding. Friction-stir welding produces incredibly strong bonds by transforming metals from a solid into a “plastic-like” state, and then using a rotating pin tool to soften, stir and forge a bond between two metal components to form a uniform welded joint, a vital requirement of next-generation space hardware. The Orion that flew in space in December 2014 was the first fully friction-stir welded spacecraft to make a trip into space. The technique is also being used at Michoud to weld the massive barrels of the SLS core stage to make the more than 200-foot tall structure. The pathfinder is expected to be completed by late summer and will be outfitted for engineering demonstrations. 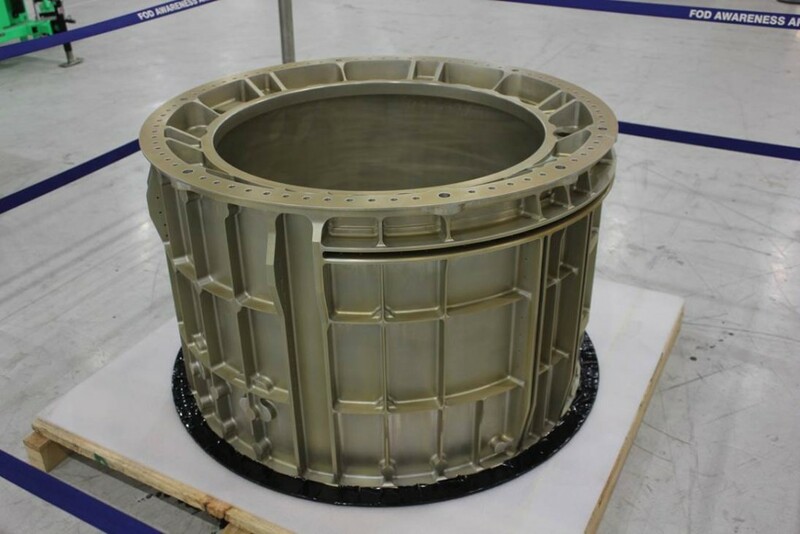 Pieces of EM-1 hardware have already started to arrive at Michoud, with welds expected to begin in late July. 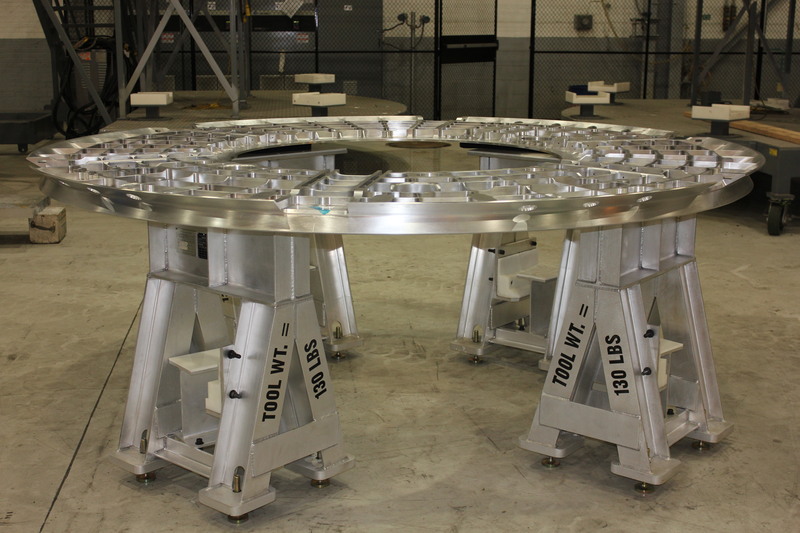 After welding is complete for the structure that will fly in space, it will be shipped to NASA’s Kennedy Space Center in Florida for final assembly and processing before launch.